On a freezing day in the winter of 2013, I left my doctor’s office in tears for the third time in as many months. In a haze that had become all too familiar over the past weeks and months, I called my mom as I walked back to my apartment — a ridiculously overpriced fourth-floor walk-up on the Upper East Side. She picked up on the first ring. Ever since I began exhibiting symptoms of what we now know is lupus, my primary care doctor and I had fallen into a pattern. I would call or schedule an appointment and describe my symptoms at length. No two cases of lupus are the same, but my most pronounced symptoms were extreme fatigue, high fevers, joint pain and photosensitivity. Like clockwork, my doctor would order the most basic blood work possible, and a few days later, she’d call to tell me that everything looked fine and my symptoms were most likely linked to anxiety and stress. I’m not a medical expert — I foolishly left that role in the hands of my doctor. I’d heard of lupus, but I didn’t know anything about the illness. I assumed that if my basic blood work came back normal, she must be right. After all, I was more stressed out than usual, and I’d always been transparent about my struggles with PTSD and an anxiety disorder. I wasn’t exactly sure how anxiety could cause my fevers to frequently spike to 104 degrees, but once again, I trusted that my doctor knew best. Winter turned to spring, and my symptoms only intensified. On weekends, I slept for up to 16 hours at a time and woke up feeling unrefreshed and exhausted. My friends were understandably thrilled to see the sun come out and they headed to Central Park in droves. I stayed indoors because the sun triggered my skin rashes. In addition to being physically sick, I felt isolated and lonely as a result of the illness. I scheduled an appointment with a new doctor, hoping she would take my symptoms more seriously. Spoiler alert: My new doctor’s response was nearly identical to that of my former doctor. It appeared that the consensus was the illness was all in my head — fevers, rashes and all. I didn’t know where else to turn, so I tried to accept that this level of fatigue and physical pain would be my new normal. In early 2015 I quit my corporate job in New York and moved to Seattle to focus on a full-time writing career. I found a new primary care doctor, and during our initial appointment, I told her about my symptoms. I was cautiously optimistic that she would take me seriously. Cue the standard blood work. Cue the triumphant declarations that nothing was wrong and the reminders that I had mental health issues. I felt defeated and humiliated. I’d always thought that doctors were supposed to be on my side, helping to get to the bottom of my symptoms and form a treatment plan to improve my physical health when necessary. Looking back, one of the things that makes me angriest is that my doctors used my PTSD and anxiety disorder against me. To them, it was perhaps a convenient excuse to send me on my way rather than do any additional work. To me, it amounted to gaslighting. I began to question whether or not I was even really sick or if it was all simply in my head as I’d been told. I learned to live with untreated lupus, although I admittedly wasn’t an especially pleasant person to be around. I had spent 15 years of my life training to be a professional ballet dancer, so I’d learned a few things about working through excruciating physical pain. But when my symptoms worsened once again in the summer of 2017, I became hell-bent on obtaining a diagnosis. My mom and I spent hours researching my symptoms so that at my next appointment, I could come prepared with a list of illnesses I needed to be tested for. Autoimmune diseases run in my family, and when I began reading about lupus, I felt as though someone had tidily written up a list of my symptoms. I had also learned that lupus and other autoimmune illnesses don’t show up in basic blood work, so I told my doctor I needed an antinuclear antibodies test to determine whether lupus was the possible culprit for my symptoms. “Why did you even become a doctor if you don’t want to do the work?” I asked. I didn’t wait for an answer and instead made my way to the front desk, where I asked for an appointment with the office’s medical director. Miraculously, I was able to get a spot within the next month. And at long last, I found a doctor who listened. When my ANA test came back positive, we moved forward with the labs and imaging tests to confirm that I indeed had lupus. “Lupus is an autoimmune condition that affects the joints, skin, kidneys, heart, lungs, blood vessels and brain. 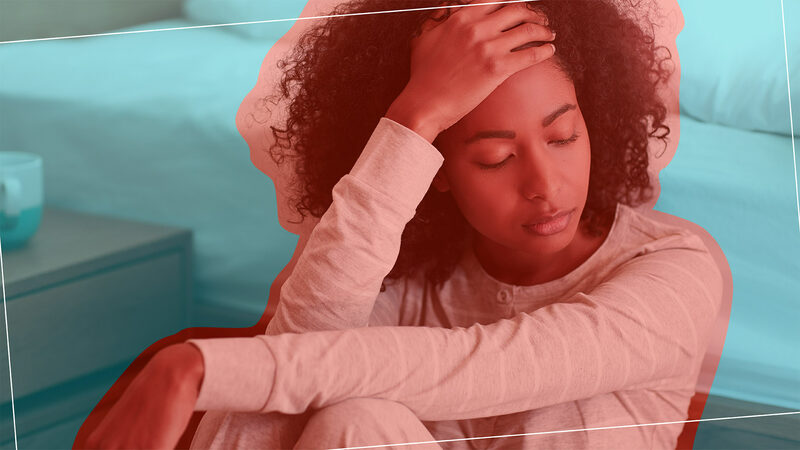 Common initial and chronic complaints include fever, malaise, joint pains, muscle pains and fatigue,” Dr. Alexander Shikhman, rheumatologist and founder of Institute for Specialized Medicine, tells SheKnows. After I was diagnosed, I was referred to an autoimmune specialist and a chronic pain specialist, and I’m currently on prescription medications that ease my symptoms significantly. I also receive acupuncture treatment, medical massages and have established a fitness regimen with my doctors. I still experience flare-ups, but my quality of life has improved enormously in the months since I was diagnosed. If you think you have lupus or any other chronic illness, find a doctor who will take you and your symptoms seriously — I promise they’re out there. Although I shouldn’t have had to battle doctors for years simply to have an ANA test performed, my biggest regret is that I didn’t assertively advocate for myself back in 2013. We know our bodies better than anybody else, and when doctors send us on our way with the declaration that we’re just fine, remember they’re not the ones who have to live with the daily pain — we are.